This week's Fabulous Phi is definitely well deserved. Meet Michaela Svaranowic our Vice President of Chapter Operations. She is one of the hardest working sister anyone has met and exudes love and joy. 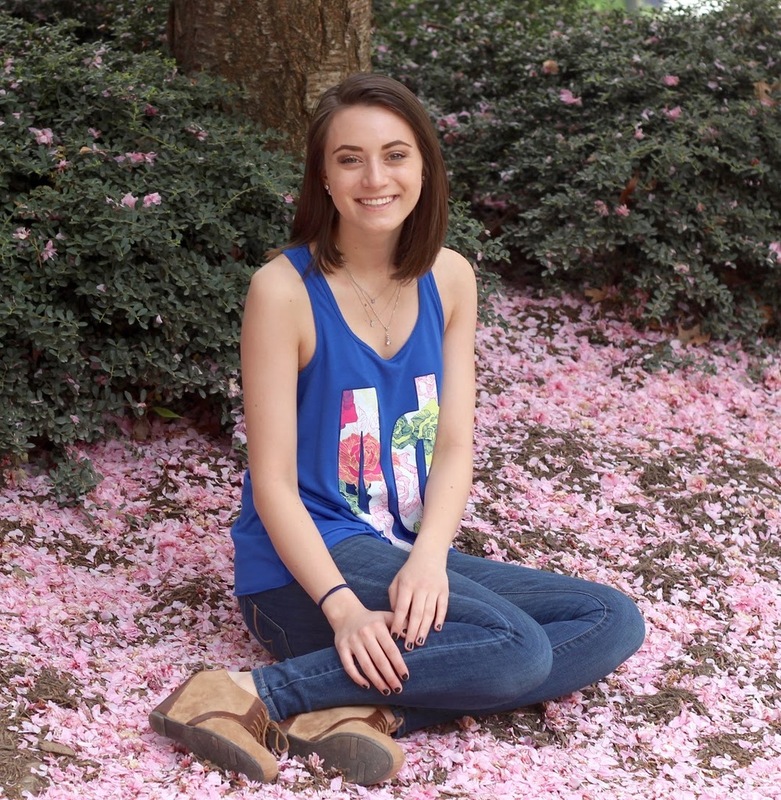 Michaela first joined Alpha Phi in Fall '14 and has gone above and beyond for our chapter ever since then. Read more about her below and see why she was chosen for this week's Fabulous Phi! What led you to choose Alpha Phi? As an Army brat I never believed that I could find a "home". However, within Alpha Phi I saw for the first time in my life a place I could call home. I loved the diversity in the chapter, the empowerment of women, and the genuine love that filled the room and today I am honored and blessed to call Alpha Phi my home. What are your passions and how did they develop? I have my cosmetology license which I got in high school and I have been doing hair for almost four years now! I also LOVE math! (I have my unit circle hanging on my wall!) I really developed my love for math in high school when I had an opportunity to work at Jefferson Lab, a local National Accelerator Facility for the Department of Energy. I got to work on an engineering project for a safety system upgrade! "This is when I got to introduce the program I was in to the secretary of the department of energy"
4. How has Alpha Phi impacted you? Alpha Phi has impacted me by teaching me true selflessness. Being a part of a sorority is not about what you can get from it, but more about what you can give to it. "What is in it for me?" is important but asking, "How can I better my chapter, my sisters, my peers, our philanthropy, my school, the community, and myself" are much more valuable questions. "This is me on the day I got my cosmetology license!" These are only a couple of amazing things Michaela has achieved and we are incredibly lucky to have her as a part of our Eta Lambda Chapter. Thank you for being such a great role model and we are so excited to see all of your future successes!